As some of you know, I spent a considerable number of my childhood years growing up in the small sultanate of Brunei. Brunei is a small country on the Island of Borneo, and is neighboured by Malaysia. As you can imagine, there is a large influence of Malaysian cuisine in Brunei and so I grew up eating delicacies like Roti Canai, Teh Tarik, Satay, Nasi Goreng, Laksa, and of course Mee Goreng. London has a few really nice Malaysian/Indonesian food spots, with my favourite one being Rasa Sayang in the heart of China Town. However, when a craving strikes on a random Tuesday evening the best thing to do is attempt it myself. 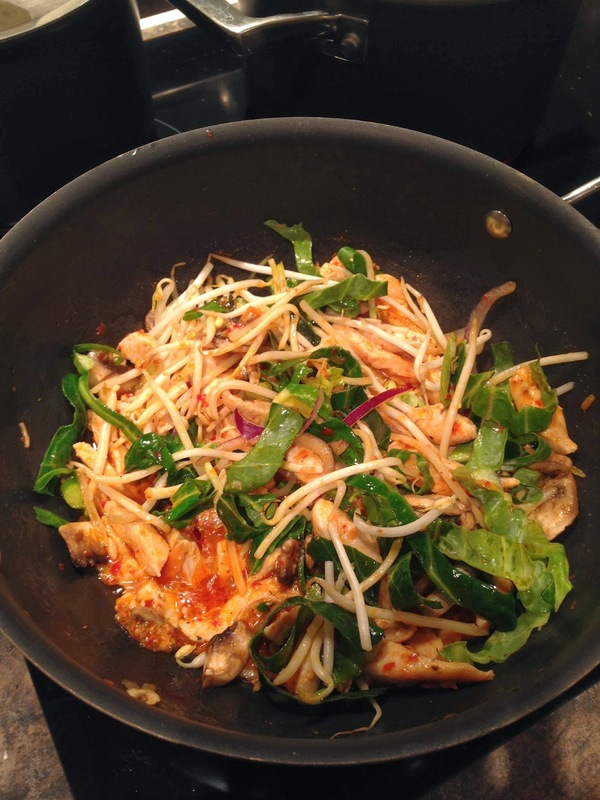 This recipe is my take on Mee Goreng. Boil the noodles and set aside to cool. Add 2 tbps oil in a wok style pan, and then add the chicken or prawns with the garlic salt and crushed garlic (or chilli garlic paste) and sautay fry for about 5 minutes until the meat is no longer pink or raw. Add the chopped vegetables and onion to the chicken, with ½ tsp lemon grass paste or chopped lemon grass. I used a precut veggie mix specifically for stir frys so you could use that if you can find some. Add the noodles and add ½ cup soya sauce and ½ cup oyster sauce. Sautay fry the noodle mixture for quite a while as that brings out the mee goreng’s flavour.